Karen Reistad was a pioneer in Norwegian landscape architecture and a key figure in the development of the profession in Norway after the war. She got her education from the Norwegian National Academy of Craft and Art Industry (Statens håndverks- og kunstindustriskole) in Oslo in 1921, and she graduated at the State Gardeners school in Oslo to obtain a degree in science. Between 1923-25 she studied at the Royal Gardening School in Berlin-Dahlem (Höhere Lehranstalt für Gartenkunst). Reistad started her career in Aker Municipality, where she was responsible for major projects, including several cemeteries. From 1942 she began to start her own practice in full time. In 1954, Reistad took over the newly established position as a state cemetery consultant (Statens kirkegårdskonsulent). This position was a respons to the increasing dissatisfaction of how the municipalities organized and maintained the growing cemeteries and graveyards in the country. In the 1950s, the problem got new attention through many war graves that had not received sufficient attention. Reistad went into this task with great enthusiasm. She continuously planned extensions and new establishments of cemeteries and war cemeteries. 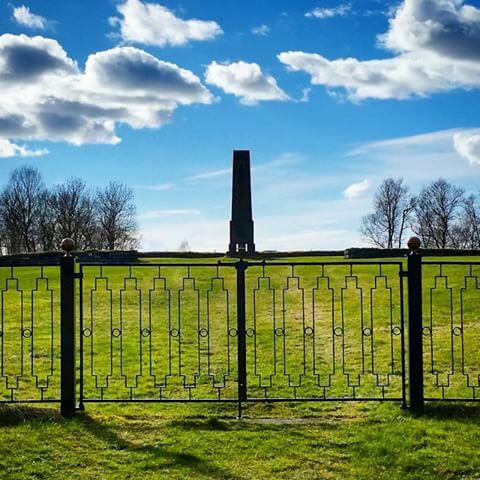 Among her most important designs are many war cemeteries built after the Second World War in Norway, like the Russian War Cemetery at Tjøtta in Nordland built in 1953, and the international war cemetery built in 1969, which is close by. Both works show an approach to design that integrates nature. 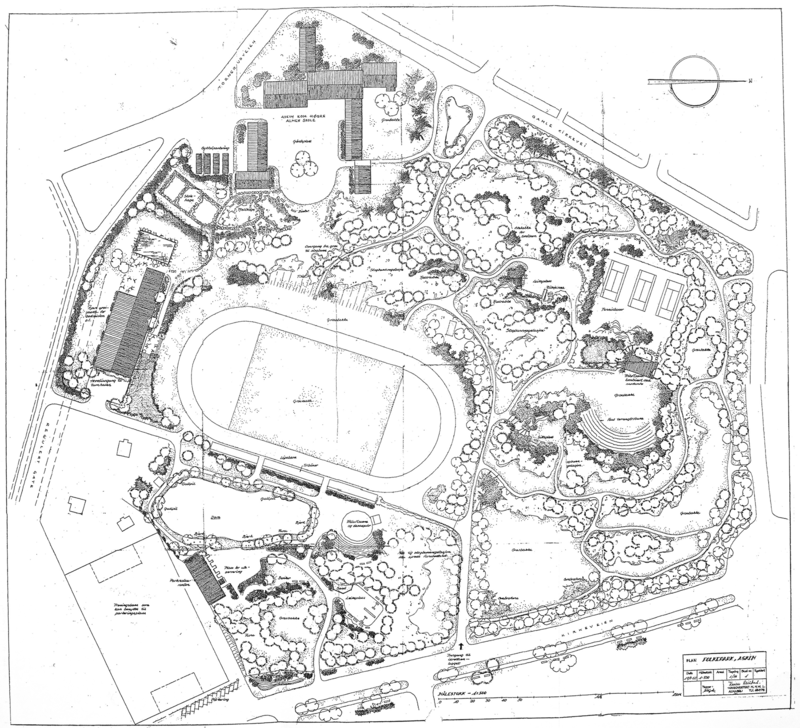 Other known projects of her: the plan for the hospital park Modum Nervesanatorium, the public park of Askim or the cemetery Borgestad. She also designed a wide variety of private gardens, including Villa Sandvigen in Oppegård and Villa Riise, close to Hamar, by the famous architect Arne Korsmo. Reistad’s style can be described as a light, poetic, natural version of functionalism. Her gardens were easy to maintain and intended for active use, not ornate or pretentious but practical and harmonious, in accordance with nature’s own principles. In her own words: “A finished garden should seem almost as if it hasn’t been touched”. 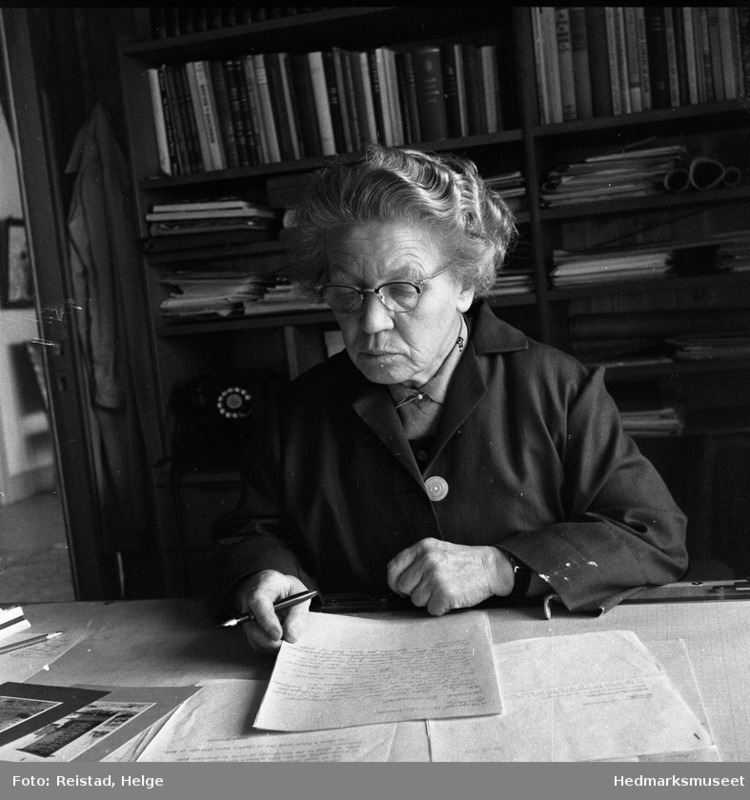 Karen Reistad was one of the founders of the NHL – Norwegian Garden Architects Association (Norsk hagearkitektlag) in 1929 (later the Association of Norwegian Landscape Architects – NLA) and she was the chairman of the association in the period 1954 – 1956. She became a honorary member in 1963. 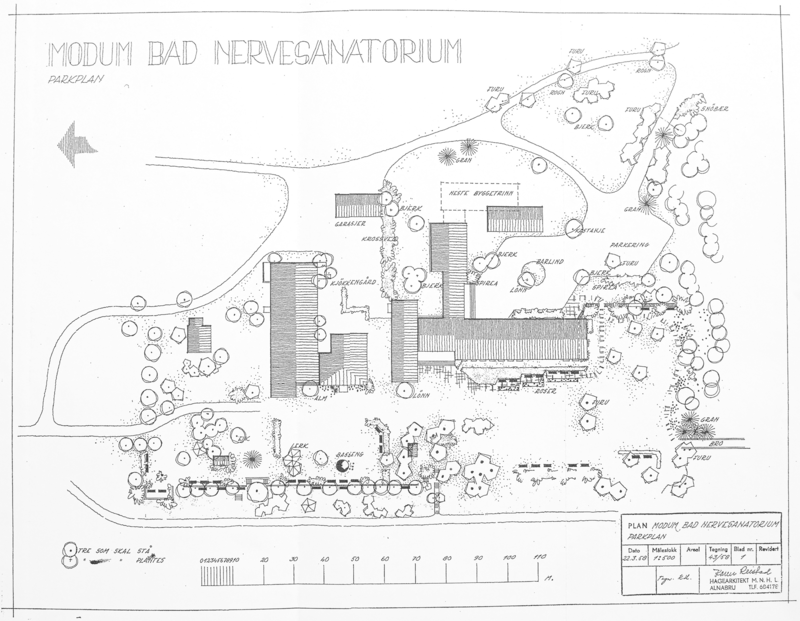 Already in 1953, Reistad became a part-time teacher at the Department of Garden Art at the Norwegian Agricultural College (currently the Norwegian University of Life Sciences) with responsibility for the teaching of Planning of Cemeteries. 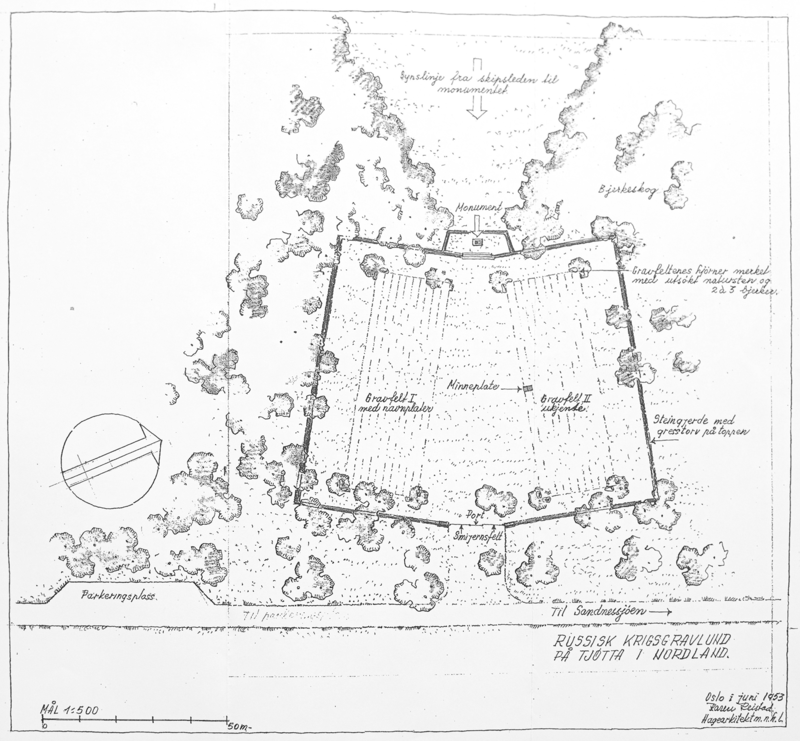 Several of her projects as a landscape architect and as a cemetery consultant are included in the Historical Archive of Norwegian Landscape Architecture. Reistad’s life and work has been the subject of a master thesis, articles and seminars at School of Landscape Architecture (ILA). Her work is much sought after, especially in the context of the project “National Cultural Heritage Properties” (Landsverneplan) and in relation to a growing need to look at burial sites and cemeteries in the era of compact cities. Morover, cemeteries represent cultural heritage and they contribute as important green infrastructure in fast growing cities. These values are not always seen and understood by responsible administrative bodies. The collection of Karen Reistad is now organized and there is a preliminary list of projects and documents available here. The Department will continue to digitize the material. Berg, Ole. Karen Reistad – en pioner i norsk landskapsarkitektur. Master thesis at NLH/NMBU 2001. Dietze-Schirdewahn, Annegreth and Lunde, Kirsten. Utformingen av de tyske krigskirkegårdene i Norge. In: Årbok Fortidsminneforeningen 2014. K. Jørgensen: “Landscape architecture in Norway: a playful adaptation to a sturdy nature”. Web, www.researchgate.net [April 2011]. Jørgensen, Karsten. Karen Reistad – en pioner i norsk landskapsarkitektur. In: Jord og Gjerning 2001. Jørgensen, Karsten. Karen Reistad – Grand Old Lady i Norsk Landskapsarkitektur. In: Byggekunst no 2, 1986. Jørgensen, Karsten: Karen Reistad. In: LANDSKAB no 8, 1986. Reistad, Karen. Almindelige regler ved anlegg av hager. In: Form og Flora. Oslo 1937.